STSH - Pokémon Sun and Moon's Region and Starters Revealed! Pokémon Sun and Moon's Region and Starters Revealed! 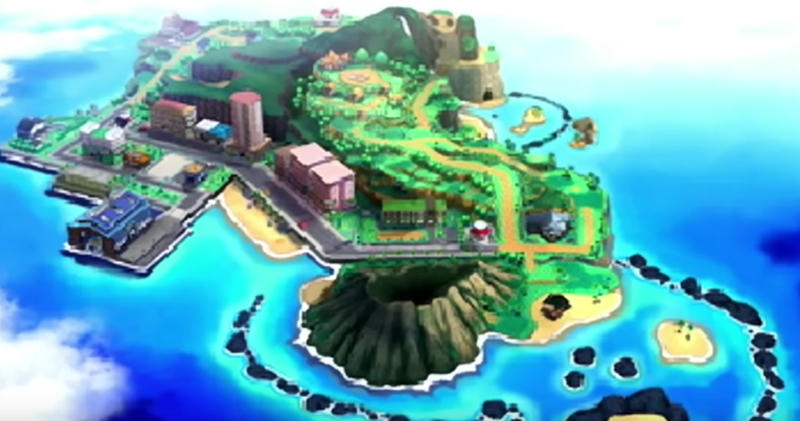 Pokémon Sun and Moon were announced in late February 2016 on the eve of the 20th anniversary of the release of the first Pokémon games in Japan, with a special video celebrating millions that have played Pokémon over the years, followed little more than some tantalizing concept art hinting at a tropical setting. The wait till mid-May for additional information was a long one, but for me, the excitement generated by the trailer, which shows off the new trio of starter Pokémon, and the new setting was more than worth it. 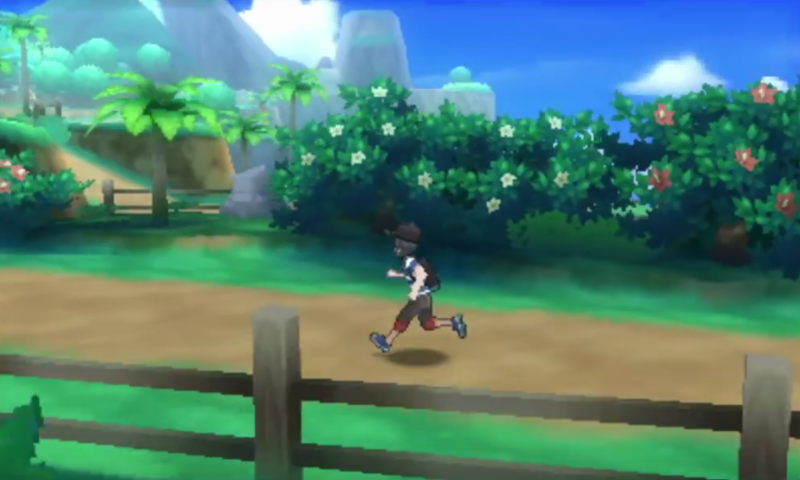 While the main headline was the reveal of the new Pokémon, I personally found the first glimpse of the new region to be featured in the games far more exciting. When the Unova region was introduced in Pokémon Black and White, and based on New York City and eastern New Jersey, I did a series of location hunt videos explaining some of the real life neighborhoods and locations that were featured in the games. Pokémon X and Y’s Kalos region was based on France, and it was fun seeing fans on Youtube do videos highlighting the connections between the game world and actual locations and mythology unique to France. 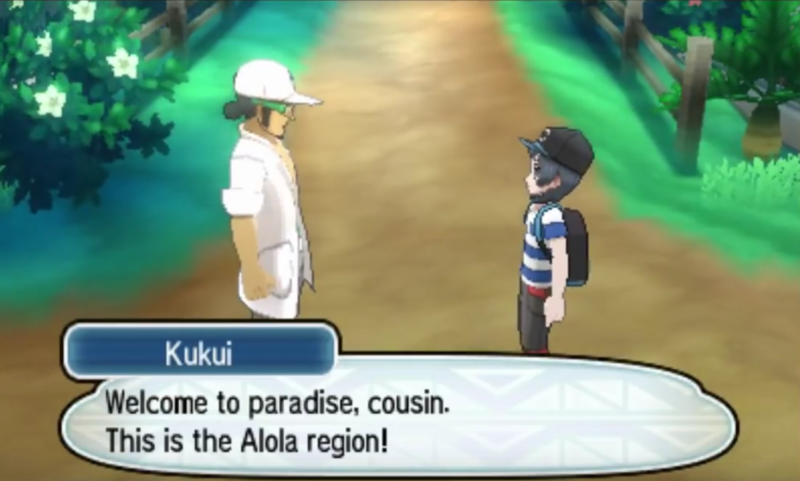 Pokémon Sun and Moon’s setting, the new Alola region, does nothing to disguise the fact that it’s based on the Hawaiian islands, and while I may have some personal bias in the fact that Hawaii is part of the country where I’m from, I’m just excited for the promise of a new region of the Pokémon world to explore, with each additional region more firmly anchoring the fantasy world to our own real world. Knowing the attention to detail the Pokémon team has done in researching real life places for interesting locations to translate into the Pokémon world, Hawaii offers a lot of unique opportunities for them, and my imaginary bags are packed for my trip to the Alola region this November. As for the gameplay shown, I’m thrilled to see that the player’s character model, as well as those of non-playable characters, are more realistically proportioned, and eschew the “chibi” style seen during gameplay in the earlier Pokémon titles for Nintendo 3DS, where people only appeared at a more detailed “full size” during non playable cutscenes. The game world itself also looks more “realistic” in regards to the representation of the scale of the locations in relations to the people, and are presented with more dynamic camera angles that will hopefully give more of a sense of actually being there, as opposed to just seeing the game mainly from an overhead point of view. The city street seen in the trailer looks as wide as an actual street, with cars and people being the proper size so that it all looks congruent. 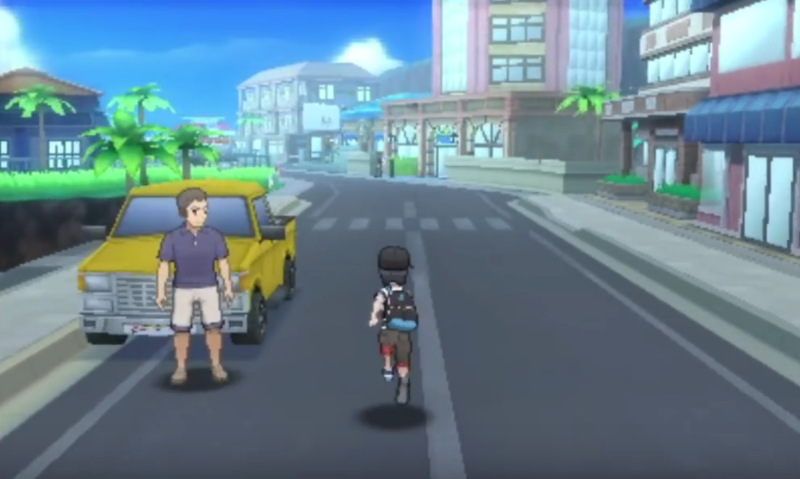 Pokémon Black and White slightly toyed with the idea of cars being seen in certain locations, but due to technical limitations and possibly time constraints as well, their presence was extremely minimal, though they did add flavor to the places where they appeared, they were never seen in locations the player could actually walk around in. This is one thing that EarthBound for the Super NES was ahead of its time with, but doing this is a much more complex task given that GameFreak is working with 3D. With the limitations of the Nintendo 3DS’s low-output technical specs, and its good to see them take an increased interest in making the game world look as believable as possible. The starter Pokémon strike me as the most strikingly unique trio yet featured, and Rowlett the Grass owl, Litten the Fire kitten, and Poplio the Water sea lion, I think are an awesome fit for a Hawaii themed region, though nothing takes the cake like the France themed Kalos region getting Froakie, a water type frog, for a starter. At this point for me, it’s a choice between Poplio and Litten. I like Litten’s design a lot, the predominantly black coloring with red markings evoke volcanic imagery, and its nice for a Fire type starter Pokémon not to be mainly red or orange. I also like Poplio, he’s adorable, and seems to take inspiration from the imagery of performing sea lions in old circuses balancing balls on their snouts. In the official artwork, and in the battle footage shown in the reveal trailer, Poplio seems to be a bit of a show off, and I like when Pokémon are given a lot of character. I’m more instinctually drawn toward Litten. I like its design more than Poplio’s, find the idea of a fiery volcanic cat especially suited to an adventure through Poké-Hawaii. Also, since I chose the Water type starter for the last two Pokémon games I played, Pokémon Omega Ruby, and Pokémon Y, it would be refreshing to start with something different from what I’ve recently become accustomed to starting with. However, I have to admit, I’m somewhat drawn toward Poplio given that in the online forums and social media, it seems to be the least popular of the three starters, and with Litten seeming to be the most popular. While I wouldn’t choose Poplio just to be “different”, I think a first playthrough Sun or Moon with a Pokémon most other players pass over would be interesting. 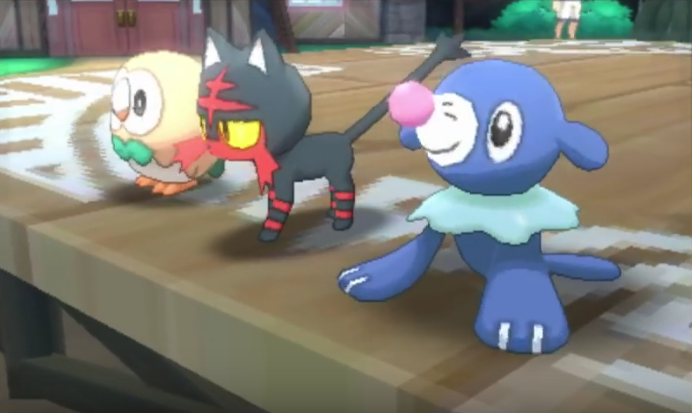 Even with this in consideration, I find Litten to be the coolest and most appealing of the three starters, and there’s a 75% chance I’ll be picking him for my first adventure through Alola, with the final decision depending on whether Poplio or Litten's yet-to-be-revealed evolved forms pique my interest more. The two “box mascot” Legendary Pokémon were also revealed in the May 2016 trailer, with Pokémon Sun’s box featuring a gigantic lion with sun motifs, and Pokémon Moon’s box featuring a huge bat with motifs reminiscent of the night sky. Based on trademarks filed by agents connected to Game Freak and The Pokémon Company, the Pokémon are speculated to be named Solgaleo and Lunaala, though these shouldn’t be assumed to be accurate final names until a formal announcement is made. Based on what’s been seen. I think I’ll pick Pokémon Moon, which features the bat-like Legendary Pokémon, who I may be tempted to give a nickname like Stellaluna when I capture it in the game. The Pokémon Sun box mascot, the lion, doesn’t really appeal to me, though I will mention that I brought Pokémon Y because I like Yveltal more than Xerneas, only for Xerneas’s design to later grow on me and become my favorite, so hopefully I don’t change my mind after the fact this time around. I have to mention that the Japanese audience got a very different video revealing the first Sun and Moon gameplay footage and new Pokémon. 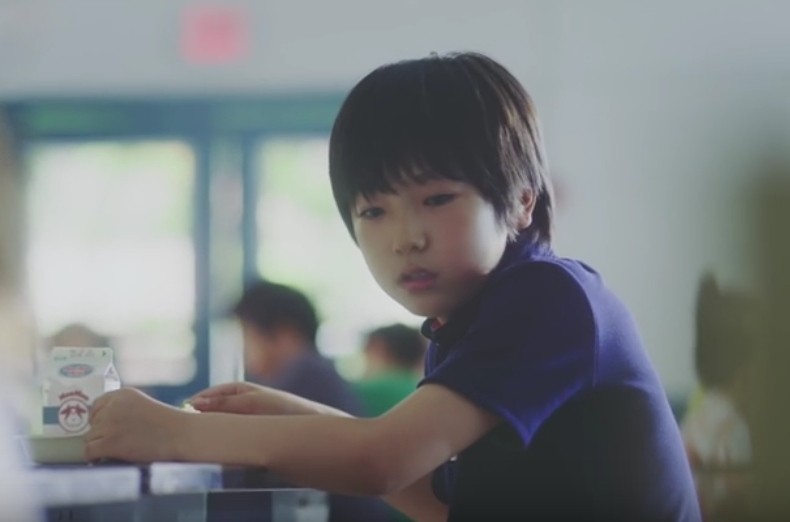 Instead of a basic trailer, Japan was treated to a heartwarming concept video telling the story of an imaginary boy who moves from Japan to Hawaii (further cementing the connection between Hawaii and the game’s new Alola region) and makes friends in spite of language barriers by playing Pokémon Sun and Moon with the local children. The people within The Pokémon Company, GameFreak, Nintendo, and whoever else is involved, have been putting out a stream of really great live-action videos that have rather beautifully communicated the appeal of Pokémon, especially in regards to tying in the games to the real lives of the players and the real world the people playing the game live within, and this new video continues that recent trend. The Japanese Pokémon Sun and Moon video reflects a lot of people’s experiences being able to break the ice and make new friends using Pokémon, and also demonstrates the value of making the Pokémon games portable. 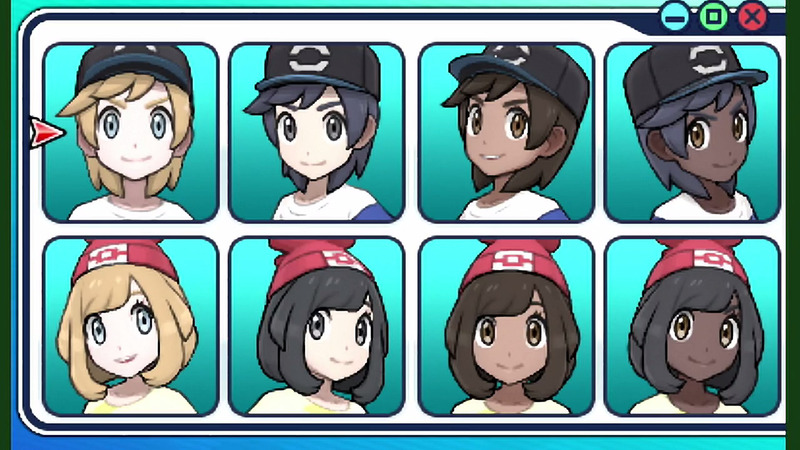 As far as gameplay is concerned, the Japanese video’s most exciting reveal for me was that customization options for the appearance of your Pokémon Trainer are returning from Pokémon X and Y, after being absent in Omega Ruby and Alpha Sapphire, and that among these options are more skin tone choices. 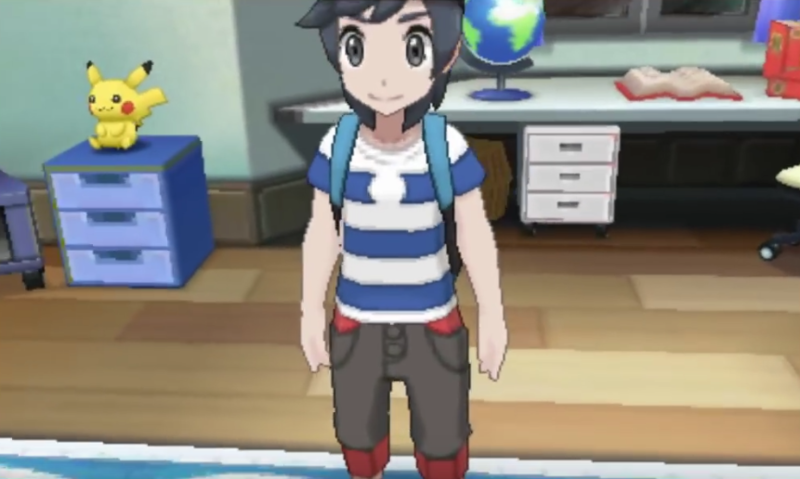 The default Trainers in Pokémon games have traditionally been depicted as light skinned in such a way that someone of Japanese descent could interpret them as being Japanese, and a person of European descent could interpret them as being white. An increased presence of darker skinned people in the games started with Pokémon Black and White, the first major Pokémon games to be set in a region based on somewhere other than Japan, where more racial diversity could be expected, especially since Black and White’s Unova region was based on the New York City metropolitan area. Pokémon X and Y, set in the France based Kalos region, placed and emphasis on fashion, and players were able to customize their wardrobe and accessories for the first time, which included for the first time, the chance for players to choose between three different skin tones for their Trainer at the start of the game. Though these options were a huge enhancement, the fact that there were only three skin tones to choose from, and that none of these skin tone options were as dark as I am in real life, as dark as the Mii avatar I use on my 3DS, or even as dark as other Pokémon Trainers featured within the game. I was disappointed that my Pokémon Trainer in X and Y couldn’t be as dark as I am in real life, especially when other RPGs and video games, including some on the 3DS itself, include character customization options where anyone of any hereditary background could make a character that at least somewhat looks like them. However I recognize that Game Freak only exposed them to this criticism because they attempted to even take steps toward having skin tone options to begin with, and just crossed my fingers hoping that down the line, Game Freak would enhance these options in future games. When I made a video on YouTube expressing this, at least a couple of people insisted that I was being unreasonable, and even told me that the Nintendo 3DS wasn’t technically capable of handling darker skin tones on a customizable player character, which is absurd given that my 3DS Mii avatar has nearly my exact skin tone. Between choice of interesting starter Pokémon, an awesome looking new Legendary Pokémon I’m interested in encountering, and the promise of a fascinating and imaginative new region that further cements the Pokémon world to the real world, I’ll be thrilled to download Pokémon Moon to my Nintendo 3DS when it launches in late November of this year. While they’re enough enhancements, improvements, and features I hope for out of these new games to double the length of this webpage, more than anything else, the recent news about these games makes me think back to the enjoyment I felt back in 2011, being a New York City native and playing through the Pokémon world’s New York inspired Unova region in Pokémon Black for Nintendo DS. If there’s only one wish I could have for this next generation of Pokémon games for Nintendo 3DS, I hope it’s that Pokémon fans in Hawaii get an extra special and satisfying experience out exploring the Alola region when Pokémon Sun and Moon release this November. This work is the intellectual property of Super Train Station H and protected under US Copyright. 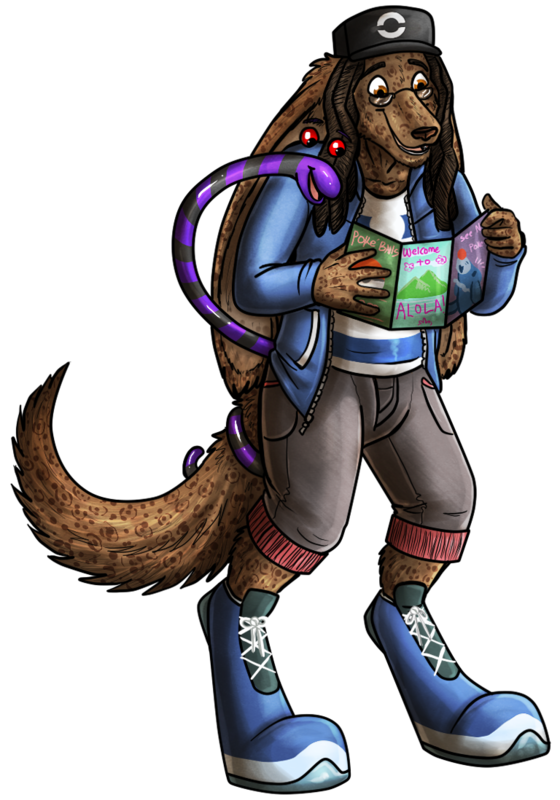 The artwork of H as a Lunarian Pokémon Trainer was provided by KeetahSpacecat! Thanks Keetah!